I cannot be at the Cross House today. Poo. But Justin just sent me an image. Look! TWELVE COLUMNS! TWELVE!!!!!!!!!!!!!!!!!!!! 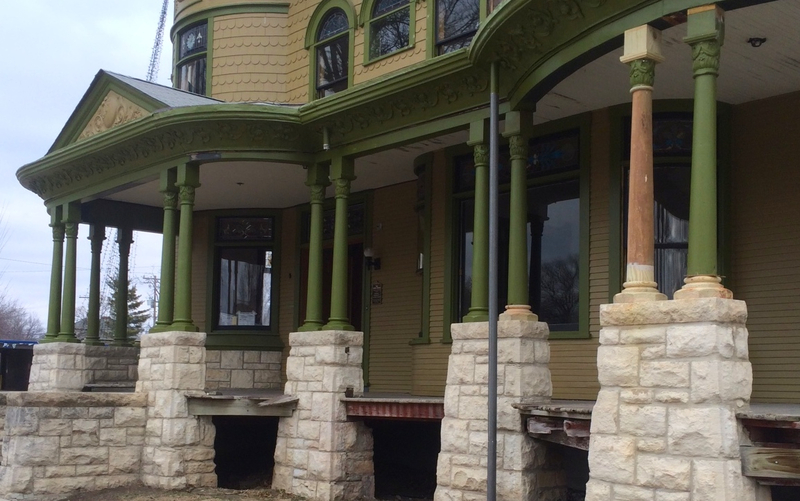 The front porch has not had TWELVE columns for decades and decades! TWELVE! I am agog!!!!!!!! Image courtesy of Justin. 3 Responses to The Great Column Adventure! Part 7. Nice! I think you should assign each column a name. The Cross House is getting her swag back! !